An Experience in Italy - International Planetarium Society, Inc.
Left: From the 2012 Competition: The Danti Planetarium Team from left: Abdelhalim El Hilali, Stephen McNeil from Brigham Young University, Luca di Bitonto, Silvia Mazzoni, Simonetta Ercoli, Marco Bagaglia, and Heather Smith. Photo by Rosemary McNeil. On Right, ShiAnne Kattner from Casper Planetarium (Wyoming), the 2015 winner, at Castello di Brescia. Photo by Loris Ramponi. Each year, in the spring, the Serafino Zani Astronomical Observatory (Lumezzane/Brescia) hosts an American planetarium operator, whose native tongue is English, to work with high school students of English. Applications are requested from educators or astronomers who work with any of the various models of planetariums. The International Planetarium Society (IPS) endorses this initiative as an excellent opportunity for professional development and cultural exchange. Expected to be available for at least 10 days for the experience. Be asked to provide a curriculum vita and the text of lesson plan(s) with activities and stories. Be asked to prepare the lesson for an analog projector, but it may be augmented with digital visuals on a flash drive. Each lesson will be at least 60 minutes in length and can be about traditional topics for planetaria such as: daily motion, orienteering, latitude motion, solstice and equinox, constellations, mythology. and so on. Be asked to make a public presentation. The presenter will provide an introduction with slides about U.S. experiences in the diffusion of astronomy and then a lesson. Need to be available for a maximum of 10-12 days in Italy in conjunction with the Italian Association of Planetaria (PlanIt) yearly conference. Be asked to make presentations in a minimum of 3 cities (maximum 5 cities). All lessons and presentations will be conducted in the English language. The preliminary text of the lesson is required so that teachers will have ample time to work with their students before the experience. Be prepared to teach the lesson at either a basic or an advanced level. Some classes are extremely interested but do not know a lot of astronomy and others have studied astronomy in depth. Most of the students will have had two to four years study of English and will understand the spoken word if you speak clearly and deliberately. They have a good sense of humor and certainly display the usual excitement about the planetarium. The expected length of stay in Italy is 10 days, and participants, of course, may further extend their stay at their own cost at their discretion. In addition, there will be time when there are no other engagements, thus providing an opportunity for touring the locale and nearby cities. 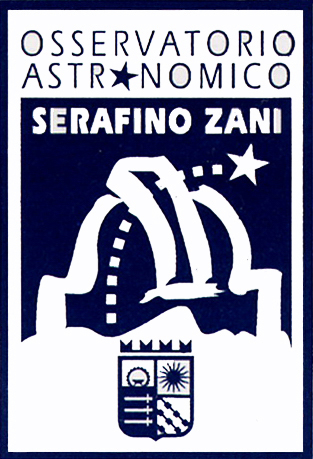 For instance, Lumezzane is very rich in public astronomy with the Serafino Zani Astronomical Observatory, four small planetaria, the Eureka Astronomical Center, and the National Archive of Planetaria. The province of Brescia is very interesting with its natural landscapes and parks, three lakes, and a most important valley for prehistoric age stone engravings. Exciting artistic cities, such as Verona and Venice, are nearby and can be reached by taking a one- or two-hour train ride. We request a final report be written by the American teacher, which will include the text of the high school lesson, comments from the students, and impressions of the experience. Participants must send an application that includes your full name, complete address, year of birth, and your curriculum vitae. Send this information along with a cover letter explaining why you wish to be considered for this experience. You must also include the text of three lessons (or variations of the same lesson), with activities and stories, which you would like to present: (1) for students, (2) for teachers (3) and for the public. Please include a list of specialized vocabulary, three mp3 audio recordings (of 3 minutes or less, on any astronomical topic) and/or any other relevant materials that you feel would strengthen your application. By applying for this contest, you agree to release copyright of your original script and recordings and release the works under the Creative Commons Attribution 4.0 International License, which makes your work public domain. Participants who were not winners this year may reapply. You have one or two months to prepare and send auxiliary materials that you would use during your lessons in Italy. Many unsuccessful applicants neglect to send a complete proposal. It is always wise to consult some previous winners to ascertain the best approach. To be competitive, you must at least include the text of three lessons (or variations of the same lesson), with activities and stories, that you would like to present (1) for students, (2) for teachers, (3) and for the public. Please include a list of specialized vocabulary, three mp3 audio recordings (of 3 minutes or less, on any astronomical topic) and any other relevant materials that you feel would strengthen your application. Samples of printed matter/leaflets from your institution/planetarium describing the programs available to your clients. After these materials are received you will be asked to make contact and participate in a conversation via Skype with the organizers of the Week in Italy to present your work and next year’s proposal. A complete list of past winners of the "An Astronomical Experience in Italy for an American Planetarium Operator” (since 1995) can be found at www.ips-planetarium.org/page/italypastwinners. There are two formats available: a PowerPoint and a pdf.